Manage procurement effectively in your company with a business application designed for small businesses and midsize companies. Gain support for integrated procurement management, optimize purchasing practices, and control costs. 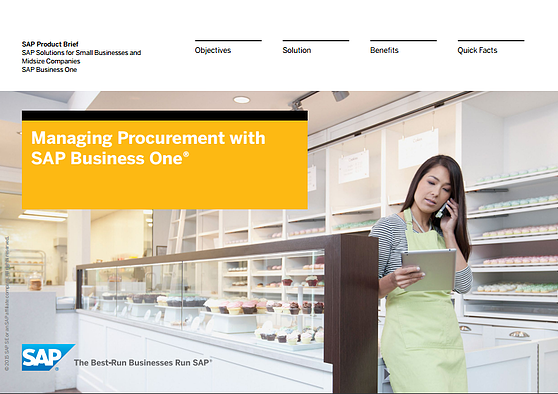 See how SAP Business One is the software to answer all these needs.